Jack Mizuha never held anything back; he always spoke what was on his mind and in his heart. 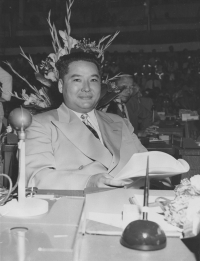 That character trait would set him apart from others in Hawaii’s close-knit, prewar Japanese community, where circumspect speech and conflict avoidance were often the unspoken rule. It was a quality that would serve him well throughout his multi-faceted life — a life that included many different occupations: police reporter, schoolteacher and principal, infantry officer, attorney, politician, attorney general of Hawaii and, ultimately, Hawaii Supreme Court justice. “Jack Mizuha loved to talk,” said Jack’s friend and fellow 100th Infantry Battalion officer, Shigeru “Stu” Tsubota, recalling that as a politician, Jack could out-talk anyone. Jack Hifuo Mizuha was born in Waihee, Maui, on November 5, 1913. His parents, Genzaburo and Nami Mizuha, immigrants from Hiroshima, raised five children. His father worked a variety of jobs, including hotel operator, tunnel construction superintendent for Wailuku Sugar Company and small store operator. It was his father’s resourcefulness, even in the depths of the Great Depression that enabled Jack to attend the University of Hawaii after graduating from Maui High School. And, it was probably his father’s influence that resulted in Jack’s pragmatic view of life and molded him into a flexible and goal-oriented individual able to work in a variety of different roles in order to achieve his objectives. While a student at the University of Hawaii, Jack met Takashi “Kit” Kitaoka, who, like him, hailed from Maui. Kitaoka also knew Jack’s brother, Shizu. Jack and Kit would become lifelong friends. “We were in the freshman class together,” recalled Kitaoka, who became a Circuit Court judge after the war. “He was a very bright guy, very popular, a good baseball player,” said Judge Kitaoka in a 2012 interview. After graduating from the University of Hawaii in 1934 with a degree in business and economics, Jack decided to pursue a master’s degree in education. Always resourceful and practical, he learned shorthand and supported himself by working as a police reporter for the Honolulu Police Department. He worked alongside a young patrolman named John A. Burns, who, in 1962, would be elected to the first of three terms as Governor of the state of Hawaii and has been credited as being the architect of the Democratic “revolution” of 1954 that toppled the Republican’s Party’s decades -long hold on political power in Hawaii. Following his stint with the Honolulu Police Department, Jack accepted a teaching position at Waimea High School on the island of Kauai. There, he met his future wife, a home economics teacher named Toshiko Sueoka. Her family operated Sueoka Store in Koloa, which was still in business in 2012. The couple married and had one child, a daughter they named Nami. On September 3, 1941, Jack’s administrative and leadership skills were recognized when he was promoted to principal of Huleia School on Kauai. It would be a short-lived appointment, for six days later, he was called to active military duty. In 1935, Jack had been awarded a reserve commission as a First Lieutenant with the 299th Infantry Regiment of the Hawaii National Guard and was given command of M Company at Burns Field in Hanapepe, Kauai. He served as commander until December 7, 1941. In the aftermath of Japan’s attack on Pearl Harbor, Jack’s Caucasian superiors suspected him of possessing dual loyalties: to the United States and Japan, his ancestral homeland. He was demoted from commanding officer of the airfield to executive officer. 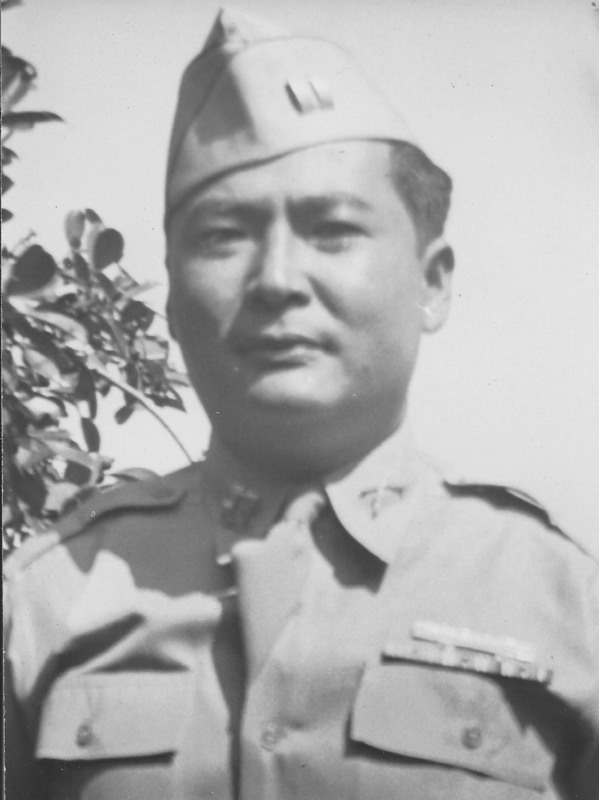 The action reflected the unfounded concern of white officers regarding the Japanese American members of the Hawaii National Guard. Upon learning that a Japanese fighter pilot had landed on the island of Niihau, located southwest of Kauai, Jack decided to prove his loyalty to America by volunteering to lead a group of men onto Niihau to capture the pilot and recover his official documents. Jack and his team spent the next two days getting to Niihau by boat. Upon landing on the island, they hiked for fourteen miles across the island. They finally found the pilot’s body and recovered his papers. They also captured a suspected sympathizer during the mission. Returning to Oahu, Jack was transferred to Schofield Barracks and promoted to the rank of Captain. After the formation of the Hawaiian Provisional Infantry Battalion in May 1942 from soldiers of the 298th and 299th and in smaller numbers from other units, Jack was assigned to Camp McCoy, Wisconsin, where the newly renamed 100th Infantry Battalion (Separate), was in training. Young Captain Mizuha was placed in charge of D Company. He quickly made his presence felt, especially among the young soldiers. Jack’s commanding officer, Lieutenant Colonel Farrant Turner, described him as “rougher on the outside than on the inside.” His blunt style did not detract from his tactical skills though, as he was constantly thinking. Several weeks later, while leading his men in a battle near Colli, which was located close to Cassino, he suffered a bullet wound that entered his back, narrowly missing his spine and lungs. The wound become gangrenous and nearly killed Jack. He survived the infection, but it left him with a long and deep scar across his back that would pain him for the rest of his life. As he convalesced from the wound and infection, Jack spent much of his time writing letters on behalf of his fellow soldiers. He wrote to politicians, to Hawaii’s superintendent of education and to his friends, telling them about the young soldiers’ need for jobs when they returned from the war and about their need for assistance and empathy. As he had done all his life, Jack did not mince his words in expressing his opinions. He expressed his feelings honestly. 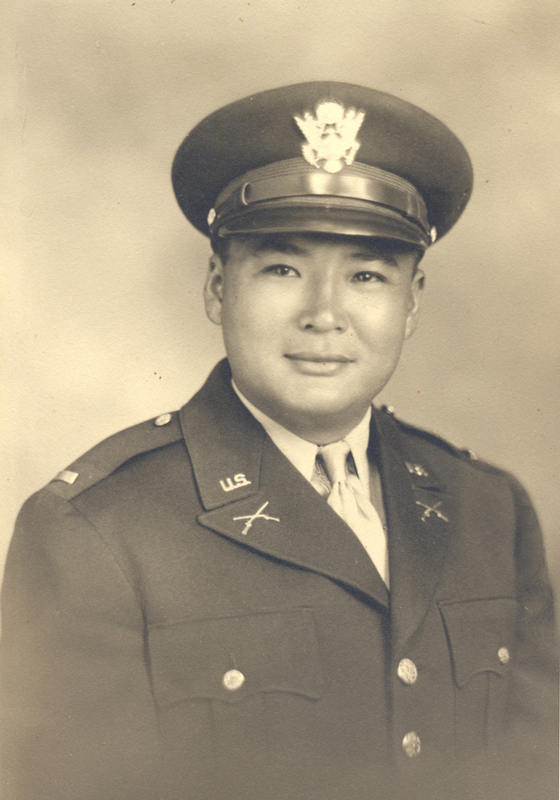 While others heaped praise on the Japanese American soldiers, writing about the medals and recognition they had been awarded, Jack kept his focus on the welfare of the soldiers. He spoke candidly about what he perceived to be instances of questionable leadership on the battlefield which he felt had resulted in unnecessary casualties. Jack felt compelled to speak out so that people would understand what the Japanese American veterans had been through so that they would be treated with empathy when they returned home. His letters had an unexpected impact. While in Italy recovering from his wounds, Jack received an invitation to have tea with First Lady Eleanor Roosevelt at the White House. Mrs. Roosevelt said she wanted to discuss the problems facing returning veterans. Upon his return to the States, Jack met with Mrs. Roosevelt at the White House. He later wrote to her, asking her to support the effort to allow the immigrant parents of soldiers serving in the U.S. Army to become naturalized citizens of the United States. When Mrs. Roosevelt responded, saying the time was not right for such a move, Jack sent her another letter, asking her to reconsider her position. Mrs. Roosevelt eventually changed her mind and supported the effort. Upon Jack’s return to Hawaii in 1944, he was appointed principal of Hanamaulu School on Kauai. He also made time to travel throughout the Islands, speaking to Japanese community groups. Despite the lingering effects of his wartime injuries, Jack would drive to rural communities such as Waipahu, Waialua and Kahuku. Speaking with the assistance of a Japanese translator, he carried the same message wherever he went: The young men returning from the war needed the community’s help in readjusting to life in Hawaii. As an original member of the 100th, Jack was a founding member of Club 100 (since renamed the 100th Infantry Battalion Veterans). But he believed that all of the Japanese American soldiers should be eligible to join the club, not just the returning 100th Battalion veterans. 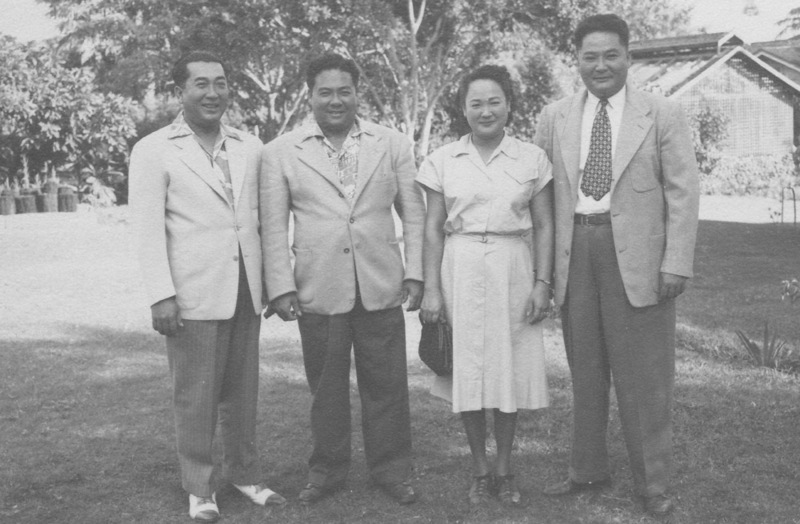 Jack also found time to address Caucasian business groups, such as the Rotary Club of Honolulu, informing them of the sacrifices the local Japanese had made. By 1945, the combination of speaking engagements and Jack’s work as a principal had taken a toll on his body. The chronic pain of his wartime wound had become debilitating and he was advised by his doctor to take a leave of absence from the Department of Education. When his health improved, he decided to take advantage of the GI Bill to pursue his law degree at the University of Michigan Law School. Jack returned to Kauai after graduating from law school and passed the Hawaii bar exam. His career progressed quickly after that. In 1948, he ran successfully for the Kauai Board of Supervisors (forerunner to today’s Kauai County Council). Two years later, he was elected as a delegate to Hawaii’s first Constitutional Convention. Later that year, Jack was appointed District Magistrate of Waimea. He then moved his family to Honolulu to accept a position as Attorney General for the Territory of Hawaii. Jack was soon named a Circuit Court judge. In 1961, Hawaii’s first Governor since statehood, Republican William F. Quinn, appointed Jack an Associate Justice of the Hawaii Supreme Court. One of Jack’s first acts as an Associate Justice was to swear in his fellow 100th Battalion veteran, Takashi Kitaoka, as the Valley Isle’s first Maui-born Circuit Court judge. But Jack’s meteoric rise in the legal system did not prevent him from speaking out. 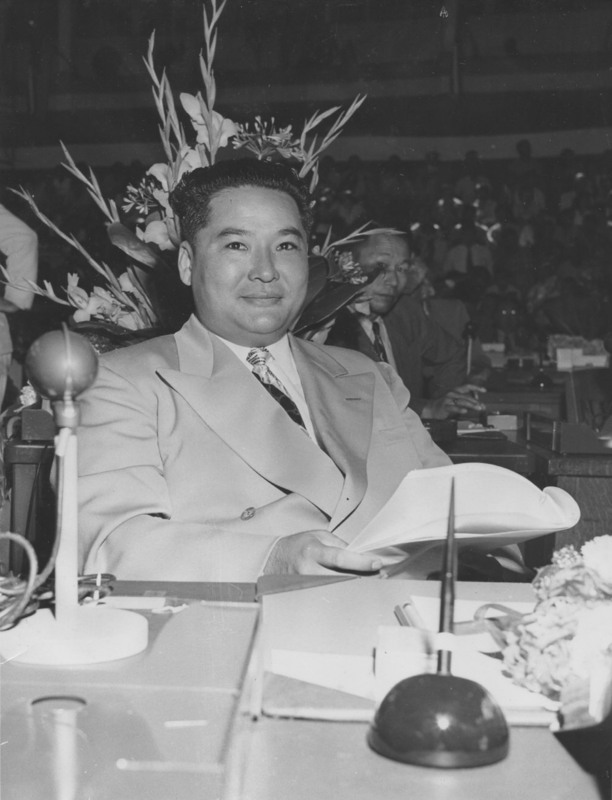 In 1959, he delivered a controversial speech, speaking out against what he perceived as widespread employment discrimination against Japanese Americans by the white business community. As a Supreme Court Justice, Jack had the reputation of being a dissenter and was often the hold-out vote in the defense of labor and individual rights. This was unusual because he was one of the few Japanese American veterans who supported the Republican Party. He believed strongly, however, that as an attorney and a U.S. citizen, he needed to protect the Constitution, collective bargaining and free public schools. One of his opinions was cited with approval by the United States Supreme Court In a case dealing with First Amendment Freedoms. Jack was very proud of that. In the retirement phase of his life, Jack spent his free time playing golf with his friends and fellow 100th Battalion veterans, Katsumi Kometani and Yasutaka Fukushima, both of whom were Republicans. Jack’s daughter Nami remembers that beneath her father’s sometimes gruff exterior was a warm and compassionate man who loved growing plants in his garden and was deeply interested in the arts, in painting and in opera. He also enjoyed spending time with his grandsons. Nami said her father rarely discussed the war and he almost never spent time at the Club 100. From a staid, conservative court. than to have lived and died for. Michael Markrich is a Honolulu-based researcher, writer and editor, who co-edited the memoirs of Chaplain Israel Yost with Yost’s eldest daughter, Monica. “Combat Chaplain: The Personal Story of the World War II Chaplain of the Japanese American 100th Battalion,” was published by the University of Hawaii Press in 2006.